I would have overpayed for that gem too, great pickup! Gorgeous. 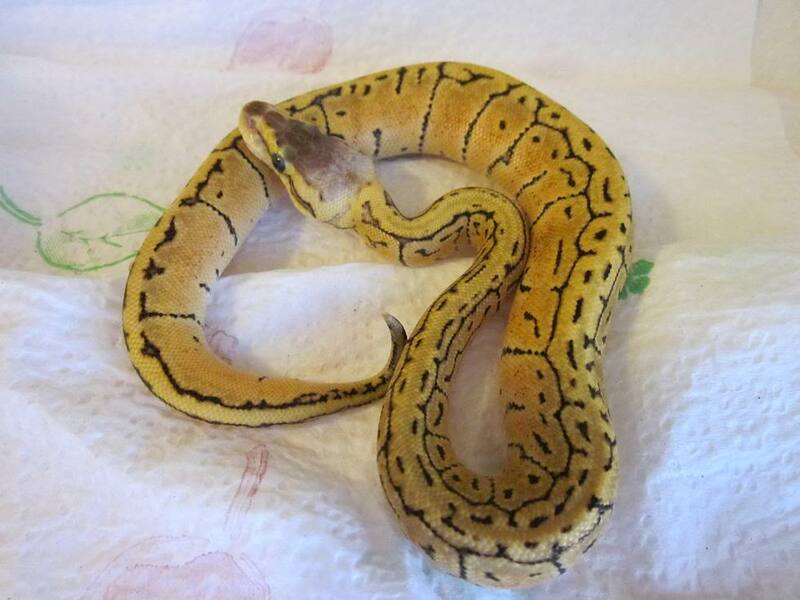 One of my favorite morphs and definitely at the top of my wish list. Congrats. Officially added to wish list. My problem is that I want to have a lot of snakes. But I want each one to have a decorated terrarium. I just can't get into having them in invisible racks. This makes it really tough. Nice! How big is she? She is just a hatchling...about 75 grams or so. I saw a pic of her dad and he is a smokin' hot pastel...even as an adult he has kept his nice coloring. this is what imma be looking for come repticon in dec...beautiful snake!!! Congrats, that's a really nice lemonblast.